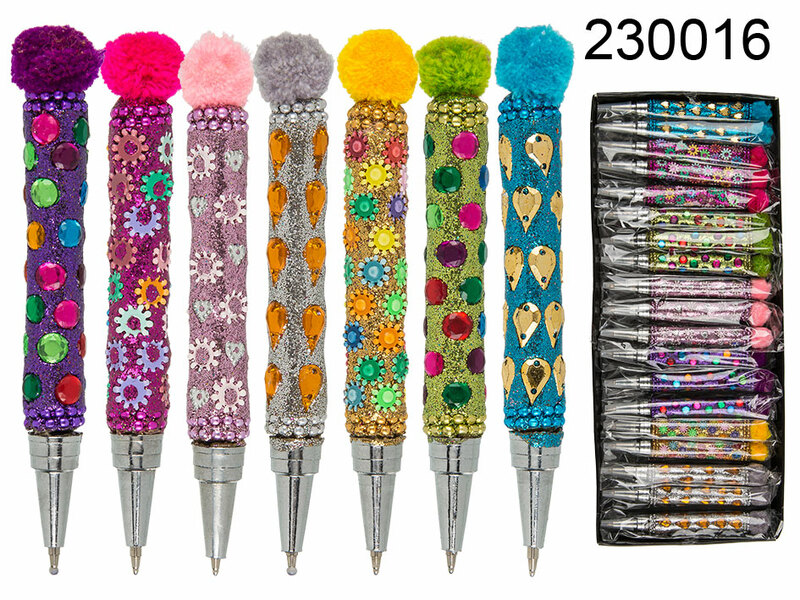 Cheerful writing tool that makes you smile - covered with glitter-like material and sequins with a soft pom-pom on the top. Blue ink. Assorted. Display stand contains 21 pieces.